Giraffes, elephants, and rhinoceros are Africa’s giants, majestically roaming across savanna landscapes and awing safari-goers and zoo visitors around the world. These largest of land mammals play critical ecological roles where they live, but they are endangered due to conflicts with humans. Successful conservation of Africa’s giants requires support from Africans living alongside giraffes, elephants, and rhinoceros, as well as people in the USA who care about the survival of these species and their habitats. The Living Desert has been using and sharing the Celebrating African’s Giants program for the past two years. Teachers, administrators, and student are thrilled with the program. Environmental Education is one of the best tools to develop meaningful conservation awareness and action. Celebrating Africa's Giants is an integrated science, art, and language education package that empowers kids and adults to explore environmental issues and engage in problem solving and actions to improve the environment. We are a team of conservation scientists, educators, illustrators, and designers who develop and distribute innovative, culturally relevant Environmental Education materials. Our children's books, posters, and activities are for children, their parents, zoos, and educators in Tanzania, USA, and around the world. We've reached 25,000 kids, and counting! Fun Fact: Giraffes, Elephants, and Rhinoceros are all 'Mega-Herbivores' because they all have adult body weights over 1 ton, and eat only plants. Giraffes, Elephants, and Rhinoceros are the world's largest plant-eating land mammals. Can you name the only mammal larger than an elephant? (Hint, it lives in the ocean). We also produce Nature's Giants Kids Magazine full of stories, games, jokes, and puzzles that teach about all nature's giants from the amazing insects that run the world to the planet's biggest trees. Doug Beetle is the mascot of Celebrating Africa's Giants. Zoos promote the conservation of giraffes, elephants, and rhinoceros through Environmental Education directed at visitors, especially kids. English versions of our Africa's Giants posters, story books, activity books, and lesson plans can be printed on demand or printed on your printer and used by teachers to prepare students for zoo visits. Our Africa's Giants materials can be printed on demand or printed at the zoo and used by zoo staff (keepers, docents, education staff, etc.) 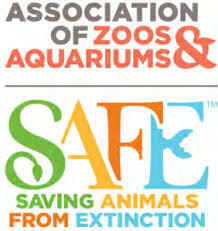 for presentations and events like World Giraffe/Elephant/Rhinoceros Day and at zoo camps and school visits. We produce an annually updated Nature's Giants Kids Magazine full of stories, games, and activities available as a print-on-demand resource for zoos and camps to add value to the Africa's Giants books, posters and activities. Our Africa's Giants materials can be used as interpretive materials as part of signage and interactive exhibits. AZA SAFE messaging is found throughout these materials giving a coordinated conservation story to zoo visitors at every zoo using the Celebrating Africa's Giants program. Our curricula and all accompanying materials using giraffes, elephants, and rhinoceros can be used to meet STEM/Common Core/NGSS teaching goals in partnership with educational institutions. Zoo partners are essential to support the ongoing Environmental Education project in Tanzania and America. We are seeking zoo partners to adopt the Celebrating Africa's Giants package by implementing our education materials during their zoo education programs. We are also seeking creative funding for additional development of materials. We are building capacity to lead teacher workshops in the field on a sustained basis and assess the impact that the program is having at meeting educational and conservation goals in Tanzania and in US Zoos. We are eager to benefit from the extensive Environmental Education experience of the zoo community. These children's environmental education materials build bridges between kids and animals, and connect kids in Africa and America with each other through shared science and art activities and a shared love of wildlife.